Port Tack: When the wind is coming over the port (left) side of the sailboat. Starboard Tack: When the wind is coming over the starboard (right) side of the sailboat. Windward: Indicates the direction from which the wind is coming (‘upwind’). Leeward: Indicates the direction the wind is blowing toward (‘downwind’). 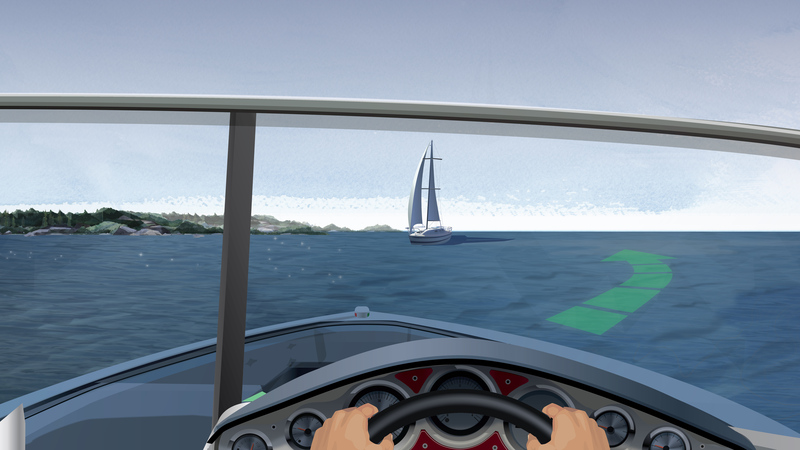 Even if you never plan on operating a sailboat, understanding the Collision Avoidance Rules for sailboats is part of being a responsible boat operator. You should know sailboat rules in order to operate around sailboats safely. A sailboat always has the right-of-way over a powerboat (unless the sailboat is overtaking the powerboat, in which case the sailboat becomes the give-way craft). 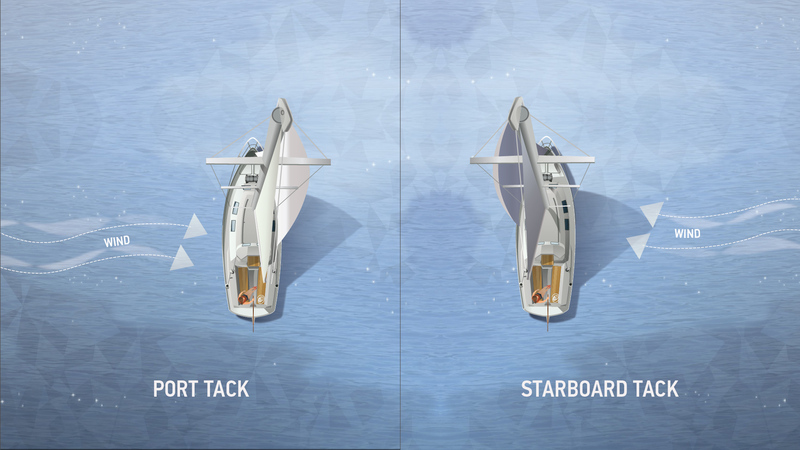 The following rules determine which boat has the right-of-way when a sailboat approaches another sailboat. 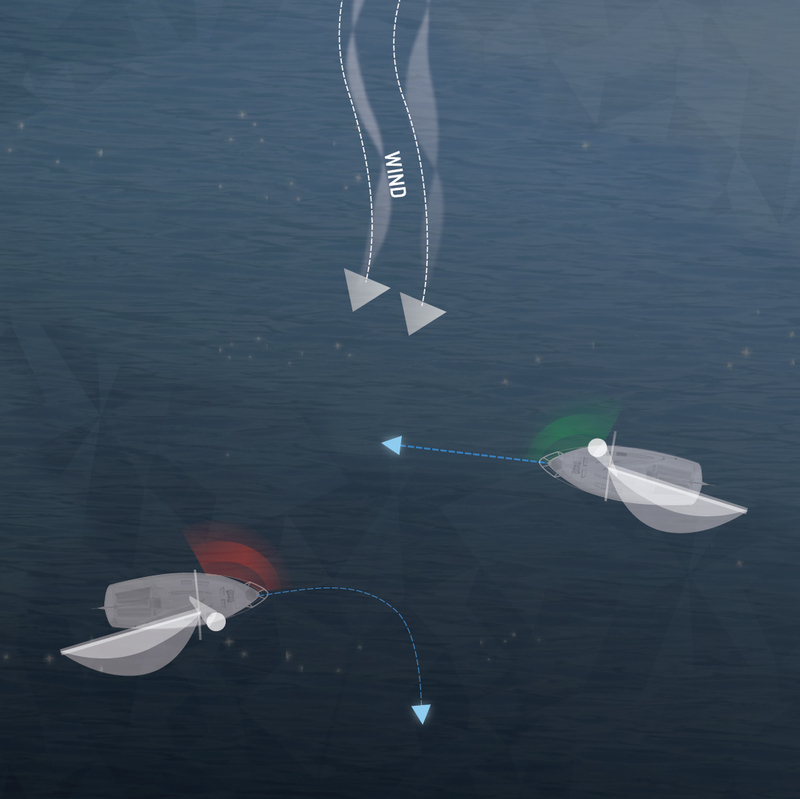 Wind on Different Sides: When each sailboat has the wind on a different side, the sailboat which has the wind on the port (left) side shall keep out of the way of the other. Wind on Same Side: When both sailboats have the wind on the same side, the sailboat that is windward shall keep out of the way of the sailboat that is to leeward. 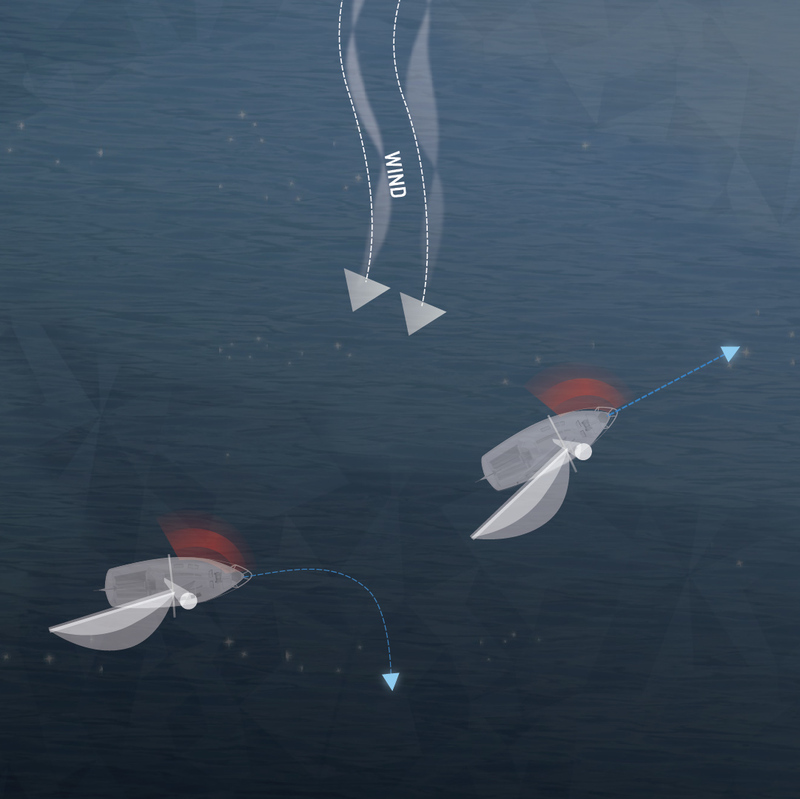 Note: If the operator of a sailboat with the wind on the port (left) side sees a sailboat to windward and cannot determine with certainty on which side the other sailboat has the wind, then the operator should keep out of the way of the other sailboat.